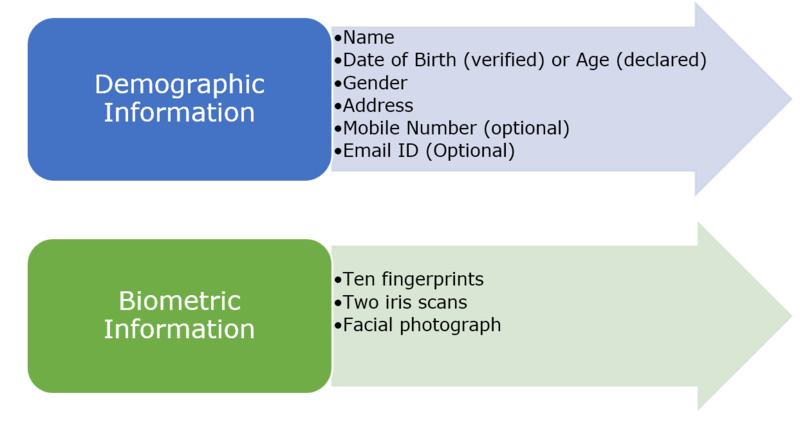 Demographic information including a unique identifier is necessary in a health record system in order to capture identifying information as well as identifiers for linking other medical artifacts logically as well as physically. 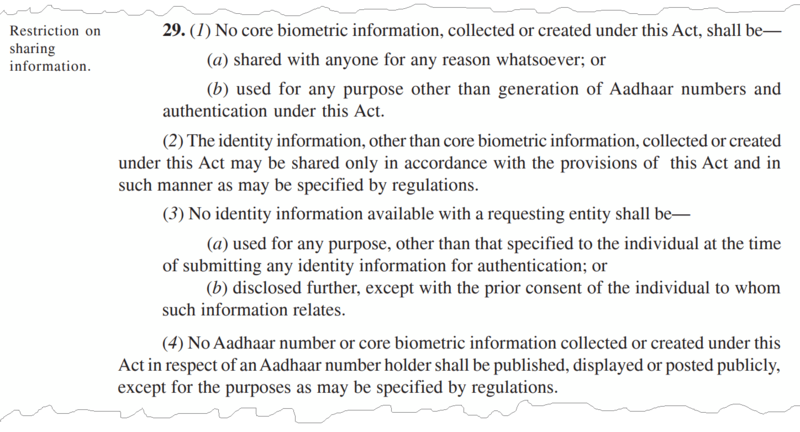 Aadhaar number is a 12-digit random number issued by the UIDAI ("Authority") to the residents of India after a verification process laid down by the Authority. The Aadhaar identity platform provides unique identity to every resident of the country. Hospitals normally use patient identifiers to uniquely identify patients in a healthcare facility. Each hospital have their own scheme of generating the patient identifier. A patient identifier is any alphanumeric code used to uniquely identify a patient within a health register or a health records system. While registering patient in a hospital, central or state govt. 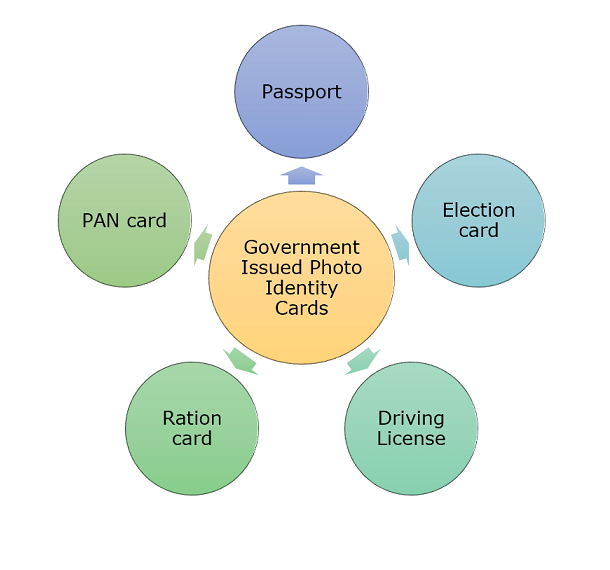 issued photo identity card number can be used to identify the person or as alternate identifiers. Metadata is structured information that describes, explains, locates or otherwise makes it easier to retrieve, use or manage an information resource. Metadata is often called data about data or information about information. A metadata is a matter of context or perspective - what is metadata to one person or application can be data to another person or application. Metadata is an abstraction layer that masks the underlying technologies, making the data access friendlier to the user. Data Standards may be defined as the agreed upon terms for defining and sharing data. Data Standards promote the consistent recording of information and are fundamental to the efficient exchange of information. They provide the rules for structuring information, so that the data entered into a system can be reliably read, sorted, indexed, retrieved, communicated between systems, and shared to make health care application interoperable. They help to protect the long-term value of data. Once the data standards are in place, there is a need to manage data, information, and knowledge. Metadata of standardized data elements can be used for this purpose. The Generic data elements are usually defined as commonly used data elements in e-Governance applications across different domains. Custom data elements are derived from generic data elements, specific to the requirements of an application within a domain. In the present version of the Data and Metadata Standards (MDDS), generic data elements common across all domain applications, generic data elements for Person Identification and generic data elements for Land Region Codification have been identified and standardized. Further, the values of certain generic data elements need to be controlled and defined in advance, for using them uniformly across the domain applications. The values of such generic data elements are specified in their respective Code directories. The code directories relevant to the generic data elements for Person Identification and Land Region Codification have been identified. On behalf of our whole team, we thank NRCeS, for arranging training on SNOMED CT, it was excellent. You managed to make most of us to understand the main aspects of SNOMED CT clearly within a short period. I really appreciate NRCeS. The training was well paced and the topics were covered in detail. This provided necessary domain understanding to our BA and Development teams. I really appreciate the value and time of NRCeS that you all are creating in Indian healthcare industry.